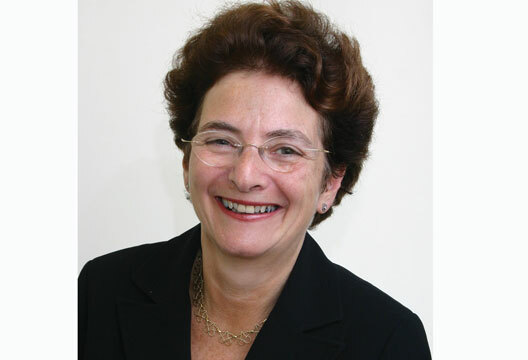 Up until her retirement last September, Naomi Eisenstadt was Director of the Social Exclusion Task Force at the Cabinet Office. She was responsible for the delivery of the socially excluded adults Public Service Agreement (PSA 16), and cross-government projects on deep disadvantage. From 1999 Naomi ran the Sure Start programme. This grew over seven years into responsibility for the government’s policy on young children’s services, extended schools and parenting. She has also been a non-executive director of a primary care trust. In 2002 Naomi was awarded an honorary doctorate from the Open University for services to families and children. She was awarded a CB in the 2005 New Year’s Honours List. I talked to Naomi about the history of policy aimed at reducing social exclusion over the last 10 years. We explored our understanding of what is meant by exclusion and inclusion. Inclusion is not simply the opposite of exclusion, nor is it just improving access to services. We also have to facilitate the inclusion of excluded people into capable communities and enable the wounds of their previous exclusion to heal. We concluded with the importance of services sustaining enabling relationships with people whose life stories can be distressing to observers and whose experience may have been extremely damaging to both their sense of self and reputation. Can you tell me a little bit about how you first got involved with social inclusion? I have always been interested in poverty and disadvantage since university. I went into early years education and then when I came to Britain from the US I worked in a social services day nursery in Edinburgh. What was interesting for me was that these were three- and four-year-olds deemed to be in social need. I began to see the way that state services divided people up into the coping and the non-coping. Ever since that experience I’ve been very interested in how the lines are drawn between those who need help and those who don’t – Do they make sense? And what are the real differences? I also developed an appreciation of the complexity of social exclusion and disadvantage. Which aspects of intervening in those processes do you find most interesting? an enormously important part in disadvantage and social exclusion. Since coming to the Task Force I’ve come to see how complex the interrelationships are between poverty itself and then a whole range of other cultural, social, neighbourhood, peer factors and of course genetic factors and even sheer accident. Catastrophic illness can result in social exclusion. It’s those wider issues and the way they interact that have been my key interest since I have been in the Task Force. I wonder if you could outline what you think the achievements over the last 10 years have been and in what way they’ve been able to address this level of complexity? In some sense it gets more and more complex because of what we have achieved. We’ve had a series of very major programmes that have had real impact on the bottom half of the population – moving incomes up, moving school standards up and increasing the health of the nation. There are all sorts of areas where I think that we have made real progress. The difficulty is that every time you shift the distribution curve the needs of the people who get left behind become more and more difficult to meet. The example I often use is smoking. We’ve had 30 years of very successful anti-smoking policies that have widened the health gap because the better off half of the population was more likely to give up smoking than the poorer half. Does that mean it was a failure? We say it’s terrible that the health gap is widening. It’s widening because of success in getting large numbers of people to stop smoking. What we have to think about are the social marketing techniques that will work for those who still smoke. Who didn’t act on previous campaigns? How do we segment the market to make sure that future campaigns are appropriate to those people who still smoke? I wonder if you could say a little bit about the distinction between the social marketing and the targeting of services approaches? I would argue that the social marketing that we’ve done over the last few years has largely been mainstream, aimed universally, like public service adverts on TV. I think that we now need to think about social marketing in the way that we think about targeted services. Identify the population that you want to influence and figure out what makes them tick. Our targeted services are targeted not just on need, but also on service availability. Our high entry barriers are designed to keep the not-so-serious out of provision. I think we have to reframe that not on how serious the problem is to deserve a service, but on earlier intervention in terms of the way in which psychological services or health services can identify the problem before it becomes too severe. Of course the way that we have to spread services rather thinly makes that very difficult, very challenging. Can you tell us who the most excluded are in our society today and tell us what you see as the challenges in helping these people over the next few years? There are lots of studies and we are almost finished with a study that we’ve commissioned on social exclusion over the life course that will tell us a lot more. In the Task Force we have been looking at a basket of indicators, including a sense of worthlessness, ill health, poor mental health, history of drug addiction, history of alcohol abuse, history of child abuse, and domestic violence. This basket of indicators allows all sorts of analysis of the population – which ones are most likely to predict long-term disadvantage, how many families have five or more of these indicators, what are the protective factors that allow some families to build better lives? At the end of the day it’s about distance to travel to get to what anyone would think of as a normal life. a place to live and some way to achieve economic self-reliance. I think psychologists and sociologists would describe this as agency. Has there been much input so far from applied psychologists, and what do you think could be their contribution for the future? a Hindu and a Moslem. When I look at the different kinds of psychologists it can seem to be terribly introspective in terms of their key differences. I would like to see a front-line practitioner role that is more blurred and only specialises where absolutely necessary. I wonder then what you think about how applied psychologists could share some of their knowledge and understanding more widely? One of the key things is both in initial training and in post-qualification training, preparing us to do a lot more inter-agency working and learning together. We do see things through a particular lens and I think getting to grips with those differences of views and what those lenses tell us would help us understand much more about not just our end users but about each other and what each has to contribute. The tricky bit in my vision is in knowing when you actually do need the specialist help, because for some problems specialist help will be really important. There’s a long tradition, certainly in my part of psychology, of working in a mentoring fashion with people working in the third sector for example. Do you think there is room for that sort of consultancy approach? I think there is tremendous room for that sort of consultancy approach. But I also know, just to be challenging again, that there’s no reason why third-sector organisations aren’t employing qualified occupational and other applied psychologists. You could be mentoring teachers in a special school, workers in a hostel for homeless people, refugee advice workers. A very wide range of front-line workers could benefit from mentoring by psychologists. So it’s not about private/public/voluntary sector, it’s about the front-line generalists versus the back office specialists and the support and advice you can give versus when it’s important for you to work directly with the end user. Thank you very much. Is there anything else you want to say to round things off? I think my key message is that the psychology profession should be upbeat in that government has recognised it and is investing in talking therapies which a few years ago everybody thought impossible (for example, The Improving Access to Psychological Therapies programme in primary care is funded by the Treasury as part of enabling people on incapacity benefit to return to employment). I think that’s very, very good news. It’s also very good news that evidence is proving the effectiveness of talking therapies, and end users want them. Finally, the interest in work on well-being is putting a great emphasis on the importance of collaborative and supportive relationships between users and professionals. The development of such relationships is a particular strength of psychologists. So I think there is a lot to be upbeat about. I suppose my end message is for heaven’s sake don’t get too precious. Psychologists have an important role to play, as part of a wide range of professionals that contribute to the health and well-being of the community. But an individual may learn to feel better about themselves through gainful employment, as well as through an exploration of the reasons for their low self-esteem. Ideally, as a society, we can offer both. As a service user and once-aspiring academic, my response to this article is to be encouraged and frustrated in equal measure. Naomi’s honesty about the time taken to grasp the complexity of social exclusion is encouraging, not least because this may help restrain simplistic responses – such as the current vogue for CBT as a catch-all cure for society’s ills. Also encouraging is her wish to confront the very real dilemma of how to use expensively trained, scarce professionals – the specialist versus generalist debate long wrestled with by clinical psychologists. What is frustrating is the seeming dismissal of historic government programmes based on the principles Naomi herself advocates. Social exclusion is a new name for an old concept. Multiple deprivation, disadvantage and ‘inner city’ problems have gone before, addressed by housing and job creation schemes in the 1930s, the beginning of the welfare state in the 1940s, Seebohm in the 1960s, Inner Areas Studies and Community Development Programmes in the 1970s. These demonstrate a long-standing commitment to ‘making people unpoor’ refuting Naomi’s assertion to the contrary. Another frustrating example is Naomi’s faith in ‘social marketing’ (more ingratiating text4u type ads for gangsta kidz?) in contradiction to her own analysis that root causes need tackling. Overall, the interview is to be welcomed for its new angles in the age-old debate on how to get the greatest good for the greatest number in a world of scarcity.